That was the subject line of yesterday’s email from the P.R. 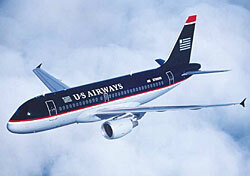 team promoting the American-US Airways merger. So, I thought, the merger now has the support of the editorial boards of the New York Times and the Wall Street Journal? Impressive. The real story turns out to be considerably less weighty. The editorials in question appeared in USA Today and the Arizona Republic. While USA Today is undeniably a national publication, the Arizona Republic hardly rates that status. As for the authors of the editorials, the USA Today piece was penned by Bill Pollock, currently employed as a US Airways pilot. And the author of the Arizona Republic editorial was a US Airways board member, Bill Post. Two men on US Airways’ payroll arguing that their employer should be allowed to acquire a competitor and increase the pricing power of the new company in the marketplace. Reasoned analysis from disinterested parties? Hardly. Setting aside the textbook conflict of interest—it is op-ed, after all—do these two US Airways partisans add anything to the merger conversation? We have earned the right to compete with United, Delta, Southwest and the numerous other airlines that keep our industry competitive by providing expanded service to our flying customers. We have done our part and stand at the horizon of an exciting, new future. Post, writing in the Arizona Republic, argues that merging the carriers would result in more flights to more destinations for Arizona residents. Today’s economy is a global one and Arizona businesses need to be able to connect if they are going to compete. And travel is all about connections. With 319 daily departures from Arizona and access to more than 330 destinations around the world, the new American makes the world more accessible to Arizonans, and Arizona more accessible to the world. Of the few consumer benefits mentioned, none requires a merger. They can all be accomplished through bilateral agreements or other forms of marketing co-op. And more importantly, neither of the editorials addresses the fundamental point of the Department of Justice’s lawsuit to block the merger: namely, that it’s anti-competitive, and will lead to higher prices for the traveling public.